For soft and velvety skin and a calm mind, St. John’s Wort Bath by Susanne Kaufmann is the ultimate treat. It contains and is named after Hypericum (St. John’s Wort) that is naturally anti-inflammatory and known for its stress-alleviating benefits. Candles and aromatherapy are an essential part of my bath ritual. After bathing, a quick cold shower and oils and creams for the whole body before slipping into bathrobe and keeping calm for the rest of the day. In the Zen tradition physical and spiritual cleansing are one. Bathing is essential for your health. Your senses come together. You get in touch with your physicality and notice your body instead of living in your bossy head only. Your metabolism gets stimulated, knotted muscles are eased and a lot of toxins get eliminated through your pores as you sweat. In Japan, bathing is still sacred and that is one of the most vivid memories I have from Japan. Soaking in hot mineral water and feeling calm and refreshed afterwards. It was like I had new skin and lost all the air travel swelling from my feet. I do not bathe every day but I am into it more and more. Candles, essential oils and cleansing salts are a part of the charm. While your body gets purified, so does the mind and spirit. 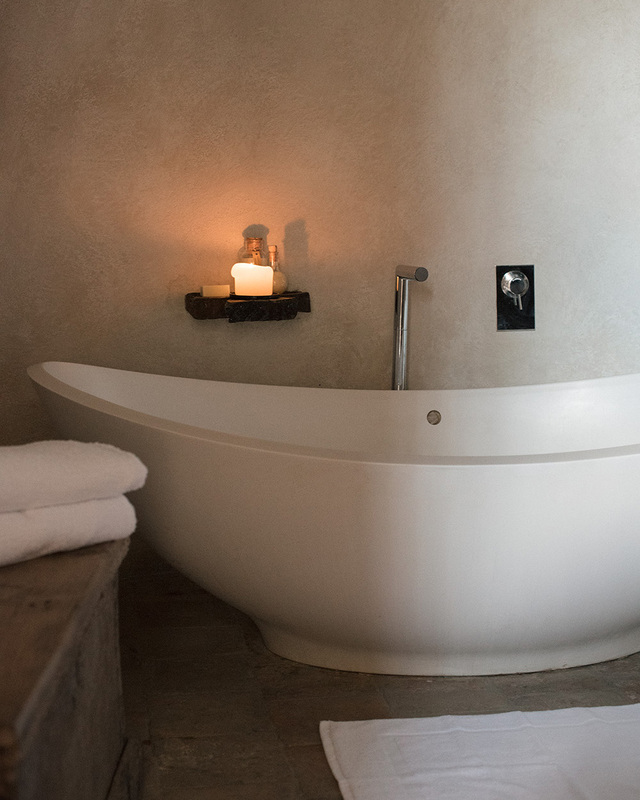 Take your time in the tub and tune in to the rhythm of your body. Feel where there’s tension and release it. Relax, focus on your inner self, but do not push it. You are the clock here. Simply get up when you are done. Ideally, you sweat while bathing and finish off the ritual with a cold shower. Drink water too, before and/or afterwards. You know what is best for you. 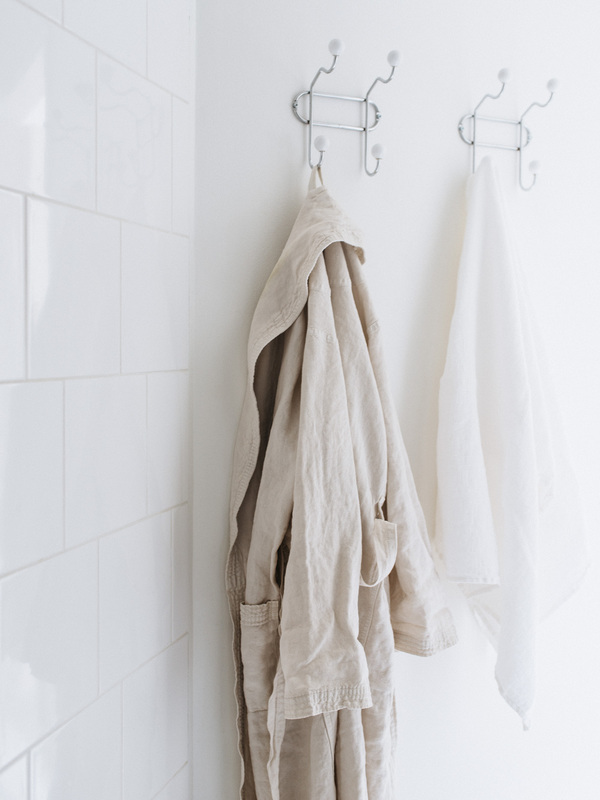 Cream linen waffle towel by Balmuir, Drai bathrobe by Society Limonta. 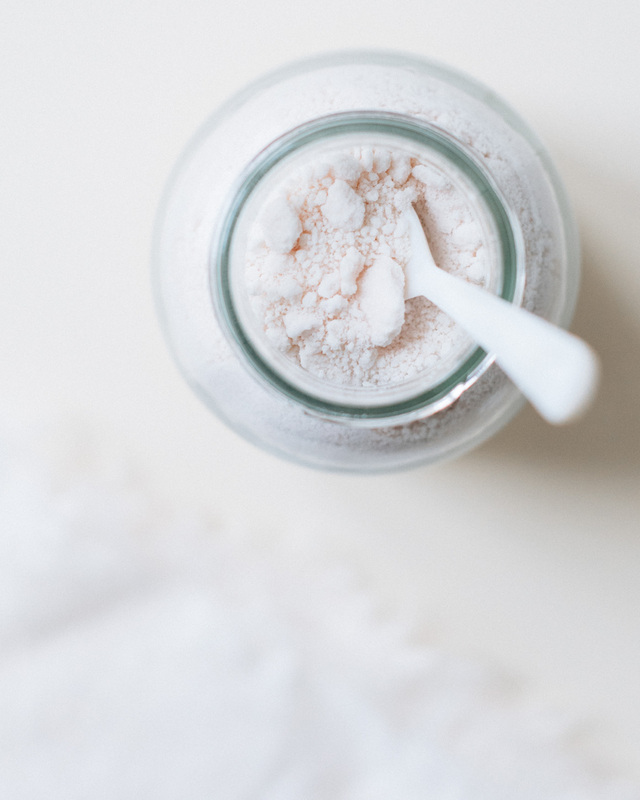 Susanne Kaufmann’s calming bath powder is available at The Line.